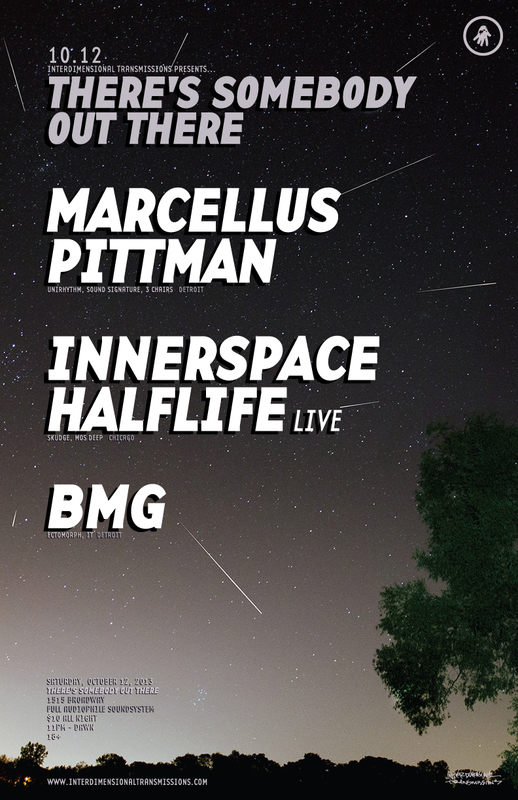 Marcellus Pittman is one of the deepest and most twisted artists that you could call a leader of Detroit House. We first came to hear his music through the 3 Chairs and Rotating Assembly projects working with legends like Theo Parrish and Moodymann, but he broke out with a series of 12"s on his own label Unirhythm (recently collected on the album Pieces) that announced his unique vision, and he has been one of Detroit's deeper international representatives on the decks. Recently, he remixed the hypnotic "Tow Ride" from Erika's debut Solo LP Hexagon Cloud, with a stated goal of making it darker and "more evil."